This dinner menu will be a treat for the grown-ups at your Halloween party. Unlike most kids' Halloween party menus, it does not include JELL-O brains. A Healthy Living recipe as Halloween party food? 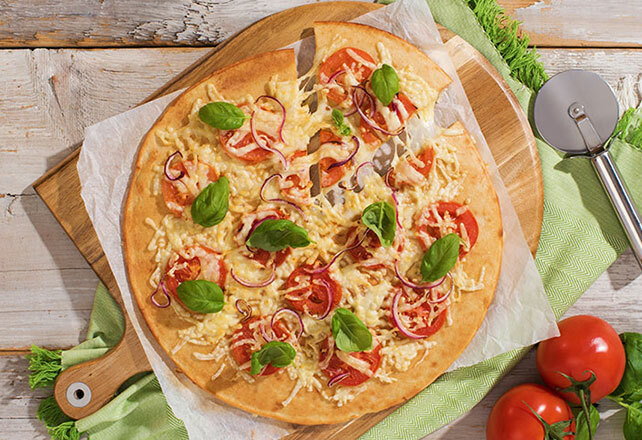 Yes to that—if it's an elegant Margherita-style pizza topped with garlic, plum tomatoes and fresh basil. There's nothing scary about this Healthy Living appetizer. 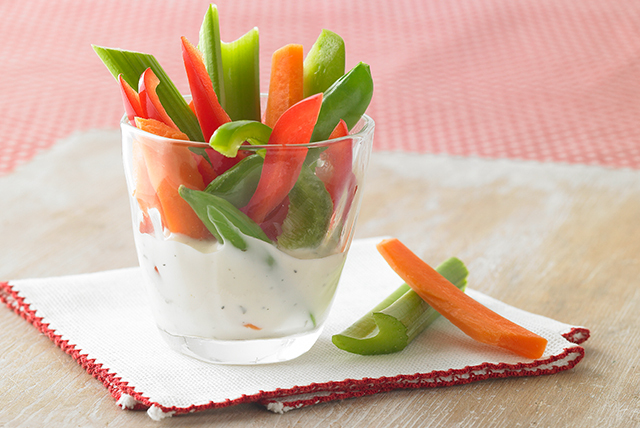 But as dips go, this one is a treat—individual cups make it OK to double dip the veggies! 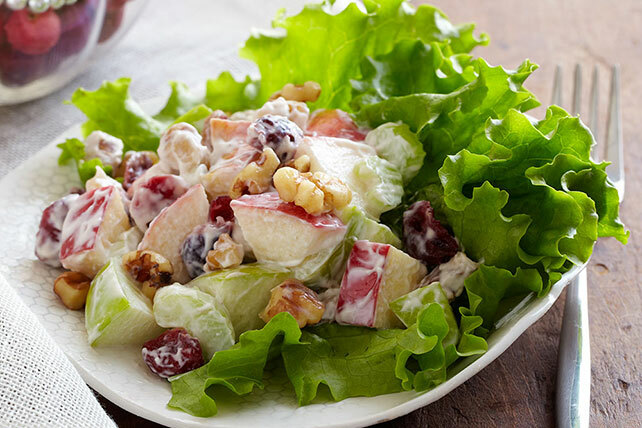 The scary Halloween food on the kids' menu is cute—but this side salad with apples and dried cranberry rounds out the grown-ups' dinner beautifully.